As former developers of tube and generator concepts, we can, of course, offer our customers a range of new and rebuilt tubes. 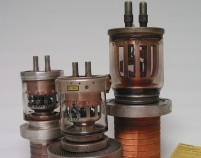 Rebuilt tubes are equipped with a new grid and cathode and thus have the same service life as new tubes. The tube parameters remain the same. Since the quality of rebuilt tubes is on a par with that of new tubes, we offer guarantee conditions that exceed those normally offered for new tubes. 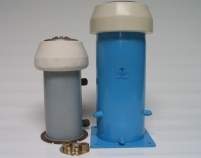 Rebuilt tubes thus provide a cost-effective alternative to new tubes. 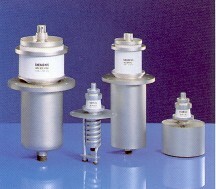 Our spectrum of tubes is based on Siemens' former product range. We keep the most popular types in stock but can obtain other types upon request. You would have to try hard to find a generator tube we don't know! 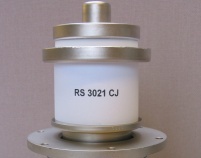 The RS 3021 CJ is a popular high µ-triode, used mainly in amplifiers and oscillators for CO2 laser stimulation.The rebuilt version of this type shown in the photograph presents an interesting alternative to very expensive new tubes of this type. In many cases the rebuilt tubes we supply exceed the service life of new tubes.